Thank you, Basic Invite, for sponsoring this post. All reviews and opinions are true and accurate, as well as my own. I know I’ve mentioned it a few times on the blog that, though I’ve had the same job at the same company for the past six years, I’m always looking for ways to build my resume and expand upon my trade. For those who don’t know what I do – I’m a writer (fancy that, right?) I work for a travel marketing company that focuses primarily on the cruise industry, and I’ve been working with brands like United Cruises, Marriott, Hawaiian Airlines, and more for a while now. However, I’m equally passionate about my blog, building my portfolio, and expanding my connections in the lifestyle realm, as well. I’ve been in the market for business cards for a while, but I’m picky. 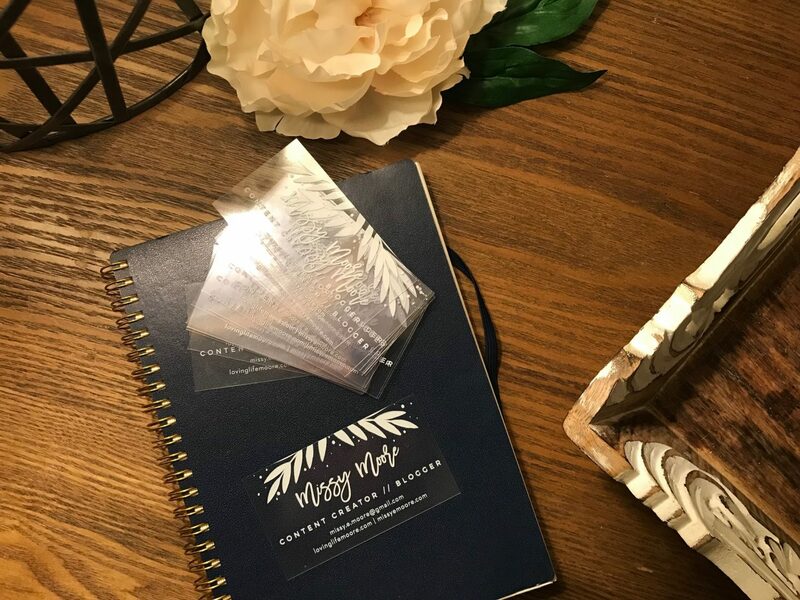 I didn’t want something that was run-of-the-mill, and I really wanted to find something that emphasized who I am as a person, and what this blog – and my personality – exudes as a brand. 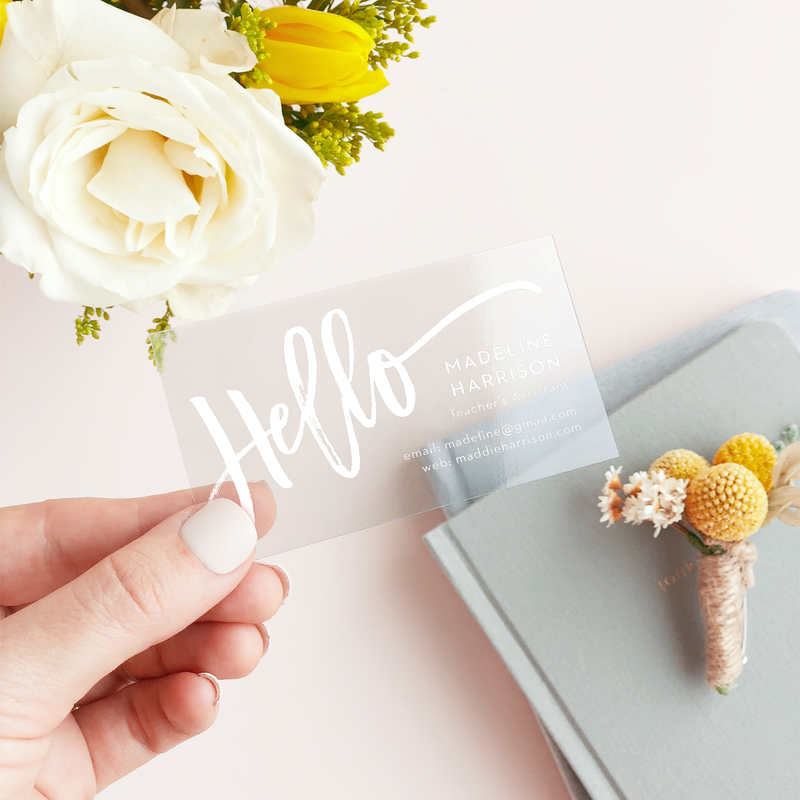 I recently had the opportunity to work with Basic Invite designing my own business cards, and it was truly the most amazing experience. I immediately fell in love with their clear, plastic business cards. If you’re like me, you have too much in your wallet, and traditional business cards get rumpled and bent. These clear business cards stay chic, no matter what. Best of all, choosing and designing my business cards was a breeze. 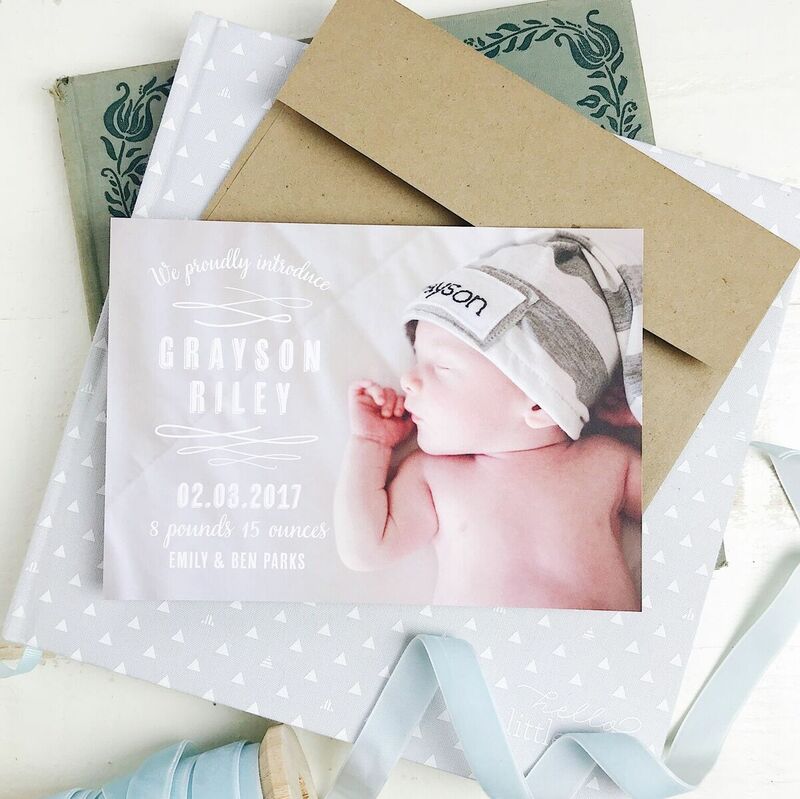 Basic Invite offers nearly unlimited colors, as well as custom samples if you’re not quite sure what speaks to you, and unique foil options, too. For me, it was easy. I was drawn to the hand-lettered script and the clean and simple layout. I know I’ve mentioned it time and again, but I’m a bit on the classic side of things when it comes to style. I’ll always opt for chic simplicity over vibrant designs, but I have to be honest…I think the clean lines and bold white-on-clear design speaks volumes about my brand and me, personally. Even better though, I was blown away that Basic Invite does so much more than just offer business cards. 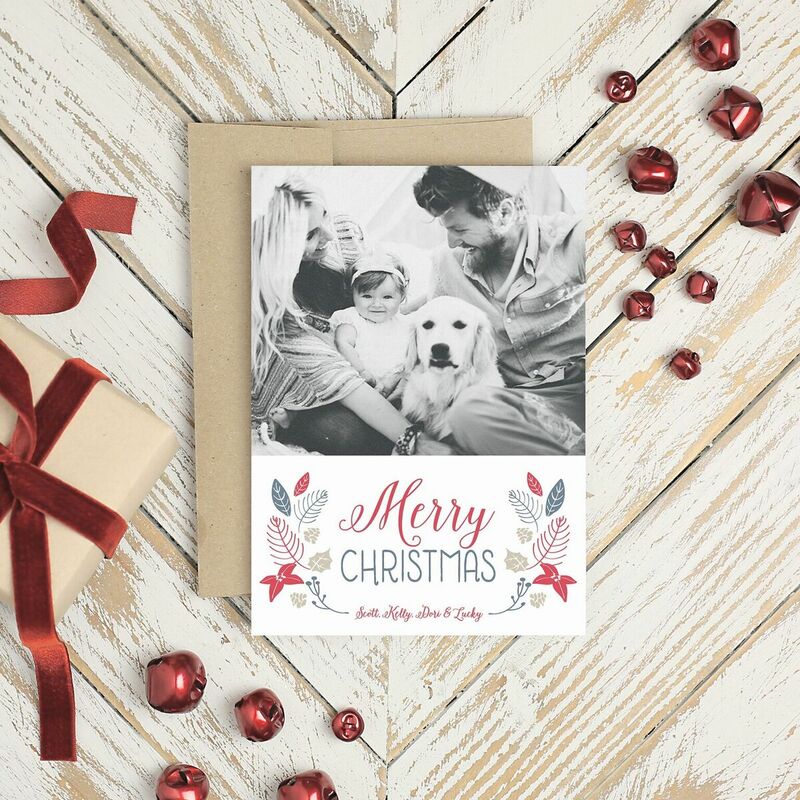 They have everything from baby announcements to birthday invitations, xmas cards, and beyond. With the holidays fast approaching and a new baby on the way to share with the world, you’d better believe I’ll be going back to them for all our stationary needs in the future. Oh, and worth mentioning for those pesky seasonal address woes, Basic Invite also offers an address capturing service. That’s a huge win for me! Best of all, Basic Invite is currently running an amazing promotion for their customers. You can take 15% off your next order with them using the coupon code: 15FF51. I don’t promote products or services I don’t love, and this experience was flawless. 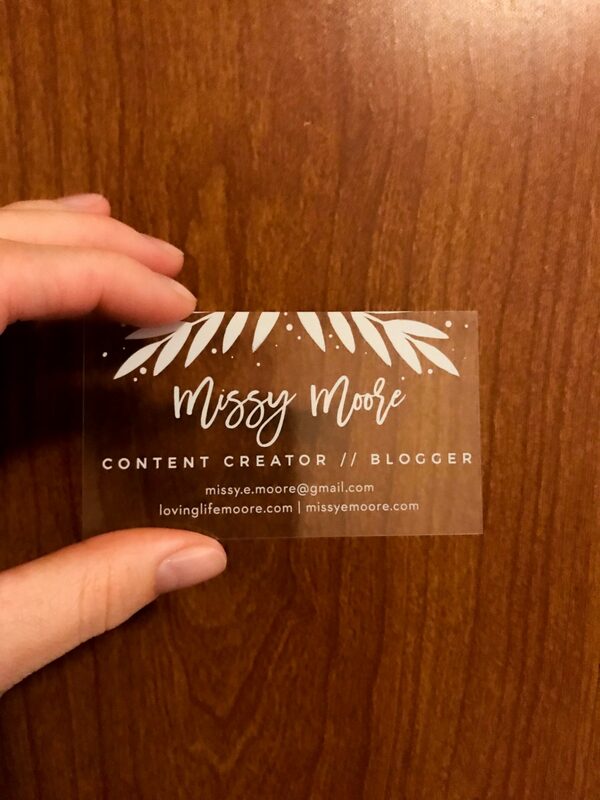 I received my business cards faster than expected – within a week – and I can’t wait to use them! Have you used Basic Invite before? What would you use the coupon code for?